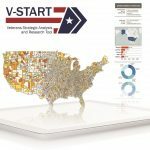 The Veterans Strategic Analysis and Research Tool (V-START) is a data visualization tool that was developed by Syracuse University's Institute for Veterans and Military Families (IVMF) in collaboration with Deloitte to strengthen their collective commitment to support transitioning service members, veterans, and their families. The tool consolidates veteran demographic, education, socioeconomic, and unemployment data into a user-friendly interface that allows users to quickly analyze and explore geographic areas of interest to uncover trends and inform decisions related to veteran programs and services. If you have any questions or suggestions regarding the accessibility of this site, or if you cannot access any of the material on our website, please email ivmfresearch@syr.edu, or call (315) 443-2699. 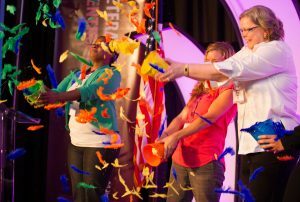 To learn more about the strategic partnerships that helped form V-START, read Empowering Others with Data: The V-START Story. This whitepaper details an innovative new approach for nonprofits and companies to come together and solve difficult problems. The County Comparisons dashboard allows users to simultaneously compare three distinct counties of interest across multiple variables, including veteran population, unemployment, and socioeconomic status. The State Unemployment by Age dashboard presents veteran unemployment rate distribution across states and age populations. The State Report summarizes veteran demographics, labor, and educational information for the state selected by the user. The County Unemployment by Age dashboard presents veteran unemployment rate distribution across counties and age populations. V-START is a valuable resource for anyone interested in understanding the current landscape for transitioning veterans. The tool can help transitioning service members, veterans, and military families make more informed choices post-service. Likewise, corporations, foundations, non-profits, and government agencies can all use the tool to inform data-driven decisions related to initiatives that will positively influence veterans and their families. For any questions or comments on the tool’s functionality, please email ivmfresearch@syr.edu.